Are you being chased by orcs or curfew guardians? Have you mischief to accomplish or walls to scale? Are you in need of bravery? I thought so. Step right in, adventurer. I see that you've chosen your wand, your staff, and your sword, and chosen wisely for each. But no ensemble for daring quests or kingdom-saving is complete without a cloak, and that, I see, you lack. Choose one or choose all three. You can't go wrong with a cloak*! you can fly! Levitate, meditate, or cogitate while this cloak does all the work. It takes the flap right out of flying so you can spend more time fulfilling your prophecy for just saving the world for the fun of it. Now you see me. Now you don't. With this cloak, you can say that as much as you want! Taunt your enemies. Tease your friends. Inadvertently scare strangers out of their wits. The possibilities are endless. And the adventures? Limitless as well! We actually have two varieties of this, our most popular, cloak. 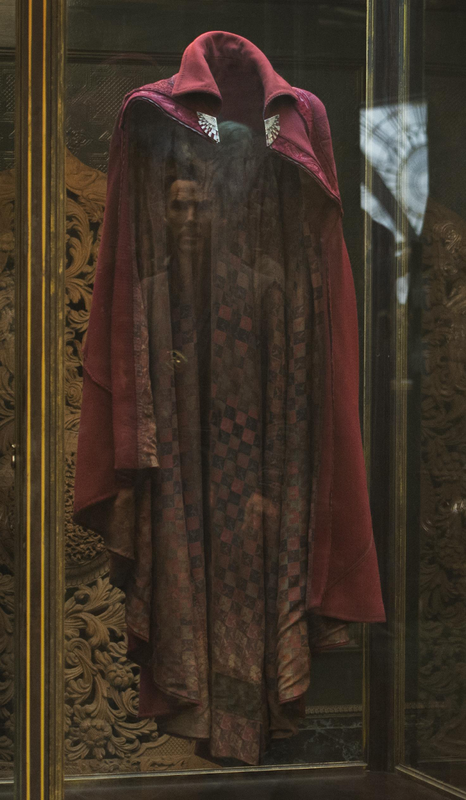 First, there's the traditional invisibility cloak for wizards and enchantresses. Then--and it's only available through our shop--there's the exquisite and each piece unique--and handwoven by fair hands--the elven cloak! Not a true invisibility cloak, it simply blends in with your surroundings, whether rock or forest, so you never have to worry about remembering to go invisible. It automatically adjusts. This final variety is sadly under-appreciated, and many claim its qualities should be offered as extra features with the other two, but that's only because they don't understand the skill required to make it and the significance of... But I digress. This amazing collection of cloaks, all handpicked by the most particular of company buyers, is the finest quality anywhere in the nine realms. And beyond. We have Cloaks of Bravery, Cloaks of Confidence, Cloaks of Compassion, Cloaks of Calm, Cloaks of The-Rain-and-Cold-and-Hunger-Never-Bother-Me. A truly amazing collection. All cloaks are certified to have come from a truly brave or confident and so on person and to produce those qualities in the one who wears the cloak. So, adventurer, which cloak do you choose? *Please note that this is a cloak, not a cape. Adventurer cloaks and superhero capes are completely separate wardrobe items. See superhero fashion designer Edna "E" Mode, as quoted in The Incredibles, for a full discussion on the merits (or lack thereof) of capes. I'm glad you enjoyed it. Edna is a great character. I was happy she made it into the second movie. Ha, I love that these posts have become a series - so much fun! I feel like an invisibility cloak would be at the top of my list, but the third category is pretty intriguing, too!